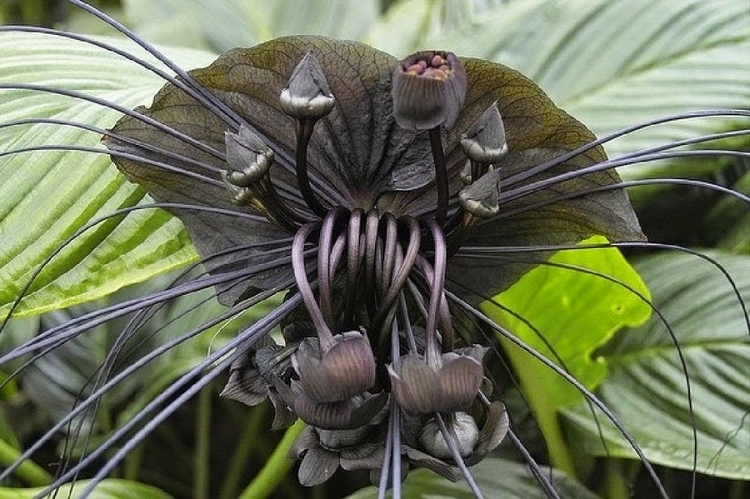 The photo of this plant speaks for itself and is a hint for where it gets its name! 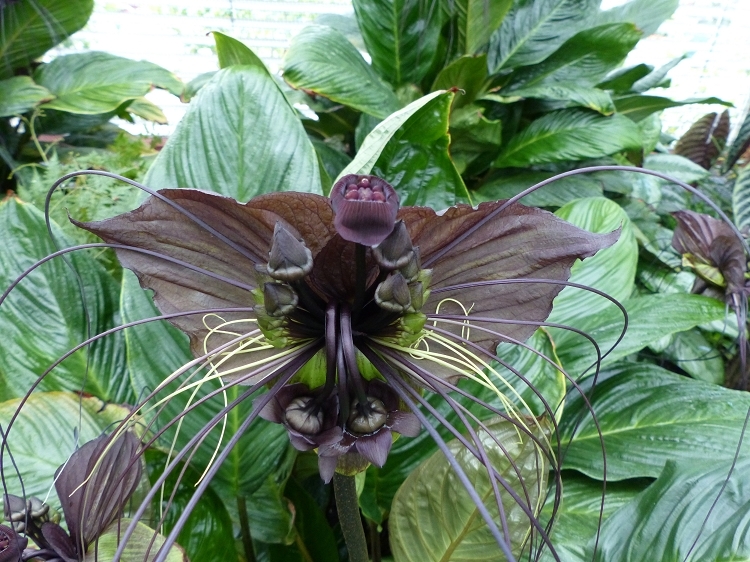 It is a relatively rare plant with a truly exotic flower large leaves that grow from a central point where it develops a tuber. This plant is native to Thailand and a member of the yam plant family (Dioscoreaceae) It loves warm temps, shaded to dappled sunlight, high humidity, damp soil and grows up to about 28" or so.